Students are given numerous opportunities to be a part of debating teams and public speaking competitions throughout their six-year journey at Catherine McAuley College, allowing them the chance to stand up and speak out about issues most important to them. Being involved in such co-curricular activities teaches students how to research topics, construct speeches, and hone presentation techniques, providing valuable skills that can assist them later in life. Students also learn how to make a difference through the power of speech. Our debating teams compete in Debating Association of Victoria heats against students from across the state, as well as class competitions. Public Speakers enter in events such as the Legacy Junior Public Speaking Award, in which we have had several State Finalists, VCCA Plain English Speaking Award, Lions Youth of the Year Competition, and Shout Recognition Public Speaking Competition. 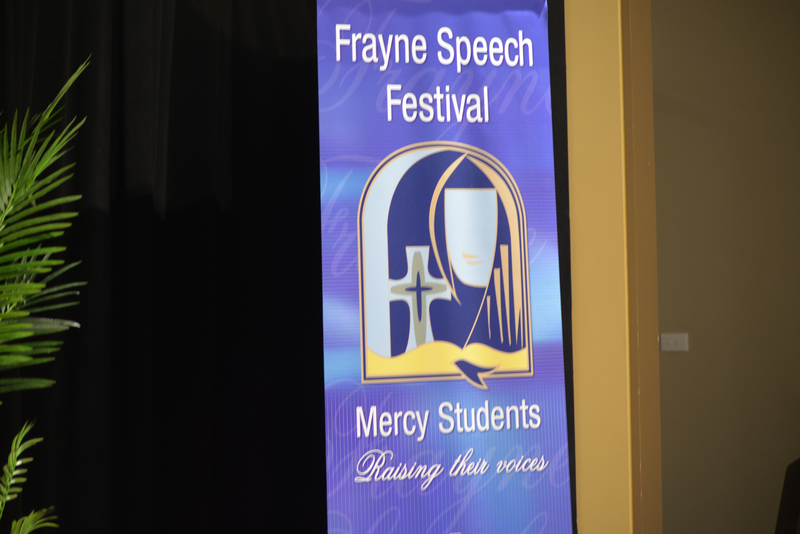 Each year we also compete at the annual Frayne Speech Festival against other Mercy Colleges, putting months of hard work into action. This friendly competition is always a highlight for our speakers and debaters, allowing them to interact with other like-minded students from across Australia.